An international meeting in India of cheetah experts and conservationists has agreed that the case for the reintroduction of the cheetah is strong. The plan, backed by the Indian government, is to bring the cheetah back to India and make it, as many wildlife experts say, the “flagship species” of the country’s grasslands, which today lack a prominent species on which to base conservation. Seven sites in the four states of Rajasthan, Madhya Pradesh, Gujarat and Chhattisgarh have been shortlisted as potential homes for the cheetah. They will now be surveyed to ascertain the state of the habitat, the number of prey and prospects of man-animal conflicts. India would then import the animals from Africa, as the numbers of the Asiatic cheetah still surviving in Iran have fallen to less than 100. Genetic studies suggest that the similarities between the Iranian and African cheetah is “very close”. 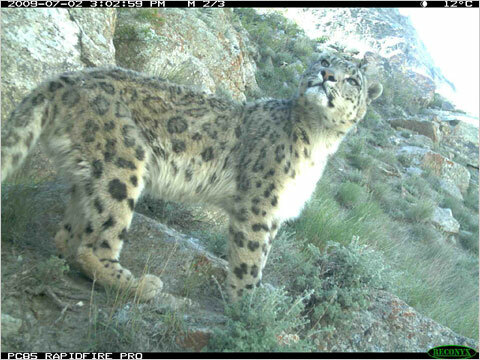 Conservationists are split on the plan. Some say are concerned that if the the cheetah is brough back too quickly, they will end up being housed in semi-captive conditions in huge, secured open air zoos, but not free in the wild. They say without restoring habitat and prey base and the chances of a man-animal conflict, viable cheetah populations cannot be established. MK Ranjitsinh, chairman of the Wildlife Trust of India, says the plan is to release the cheetahs in the wild in designated open areas, after studying them thoroughly. Reintroducing cheetahs in India has symbolic value. The first cheetahs to be bred in captivity were in India during Mughal rule. See also history of Cheetahs in India. 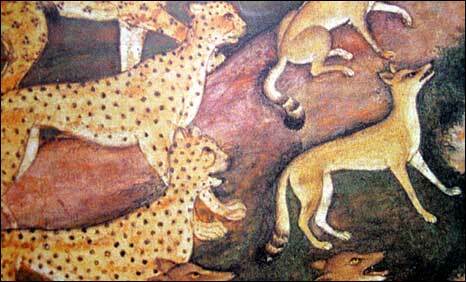 This is a study of the cheetah, now extinct in India, through the ages of Indian history. The product of a decade of extensive research, this is the only work which traces the history and ecology of an animal species from the pre-historic period to recent times. Using a range of sources, from prehistoric cave paintings to oral testimony, it provides a comprehensive account of the animal’s interaction with man through the ages, charting its path to extinction and exploring the possibility of its reintroduction in India. The largest number of human deaths by an animal in a single attack may have occurred during the Battle of Ramree Island, on February 19, 1945, in Burma. Nine hundred Japanese soldiers attempted to retreat from a Royal Navy attack across ten miles of mangrove swamps inhabited by thousands of Saltwater Crocodiles. Twenty soldiers were later captured alive by the British, and almost five hundred escaped, but many of the remainder may have been eaten by the crocodiles, although it is impossible to know how many deaths can be directly attributed to the crocodiles instead of to combat-related causes or thirst. The hellish experience of the retreating soldiers was compounded by huge numbers of scorpions and tropical mosquitoes. However, these claims are disputed as about, about 500 Japanese soldiers escaped from Ramree despite the intense blockade instituted to stop them. If Wright’s claim is true, however, the Ramree crocodile attacks would be the worst in recorded history. Note: The Guinness Book of Records lists the Ramree crocodile attacks under the heading “The Greatest Disaster Suffered from Animals”. To my knowledge there is only one book on the Ramree disaster which is a Japanese novel Dragon of the Mangroves (thanks to Ryan for putting me on to this). This is the fascinating and extraordinary story of the crocodile, one of evolution’s greatest survivors. Should cheetahs be reintroduced in India? Interesting article today in the The Times of India as to whether cheetah should be reintroduced there. Wikipedia The Asiatic Cheetah (“cheetah” from Hindi ???? c?t?, from Sanskrit word chitraka meaning “speckled”) (Acinonyx jubatus venaticus) is now also known as the Iranian Cheetah, as the world’s last few are known to survive mostly in Iran. Although recently presumed to be extinct in India, it is also known as the Indian Cheetah. During British colonial times in India it was famous by the name of Hunting-Leopard, a name derived from the ones that were kept in captivity in large numbers by the Indian royalty to hunt wild antelopes with.